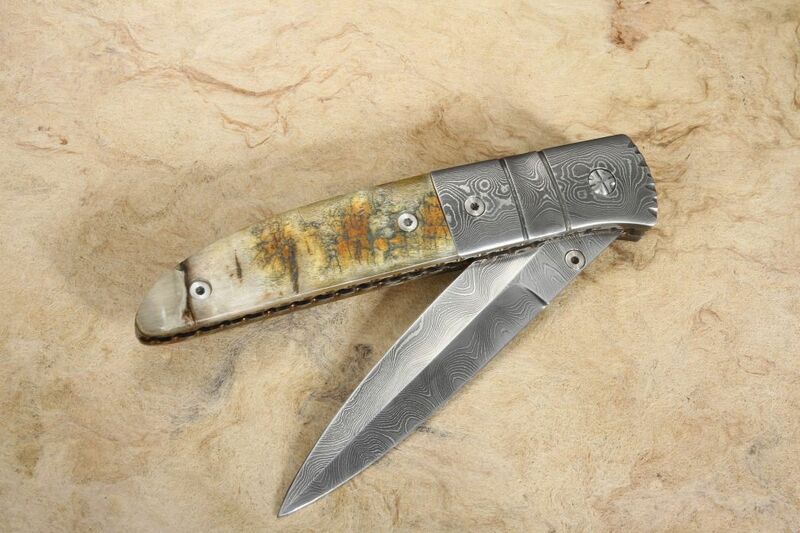 Elegant dress pirogue style folding knife from the legend himself, Mel Pardue. 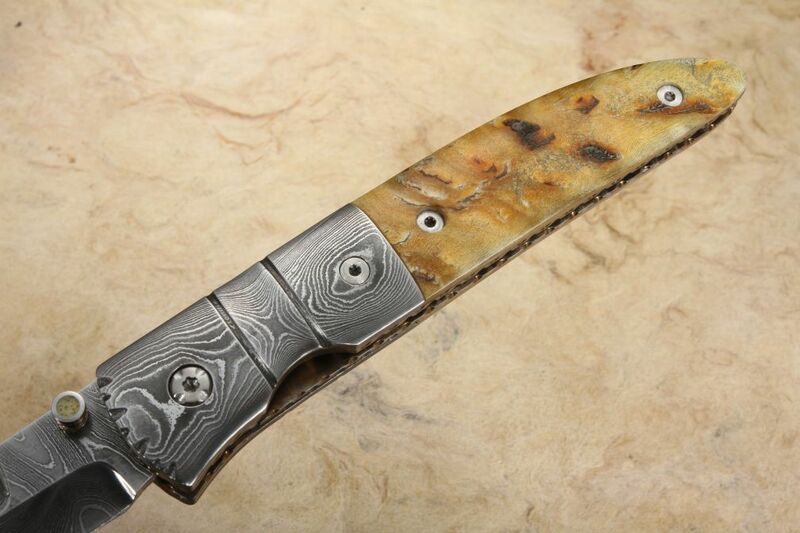 Hand forged damascus blade and bolsters match up great with the ram horn handle scales. The Mel Pardue hand forged damascus blade has hollow grinds and ram horn inlay in the thumb stud for easy one-handed opening and closing. 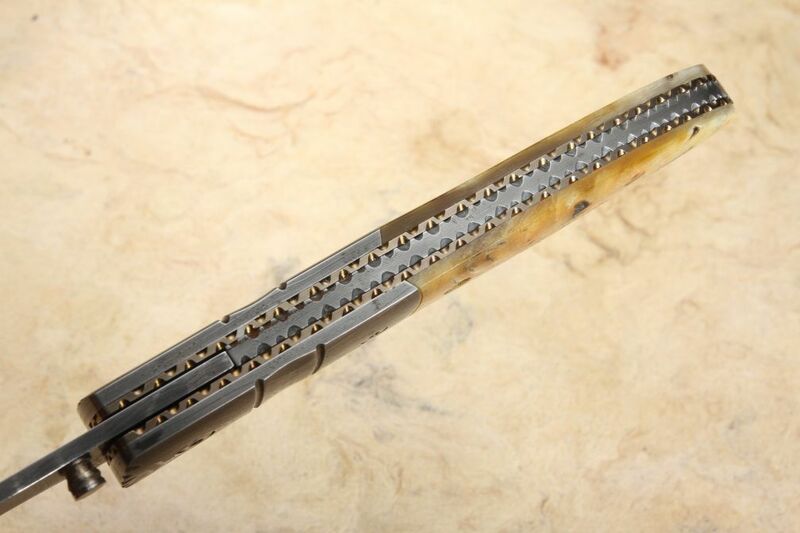 Matching damascus dovetailed bolsters fit tight against the ram horn handle scales. 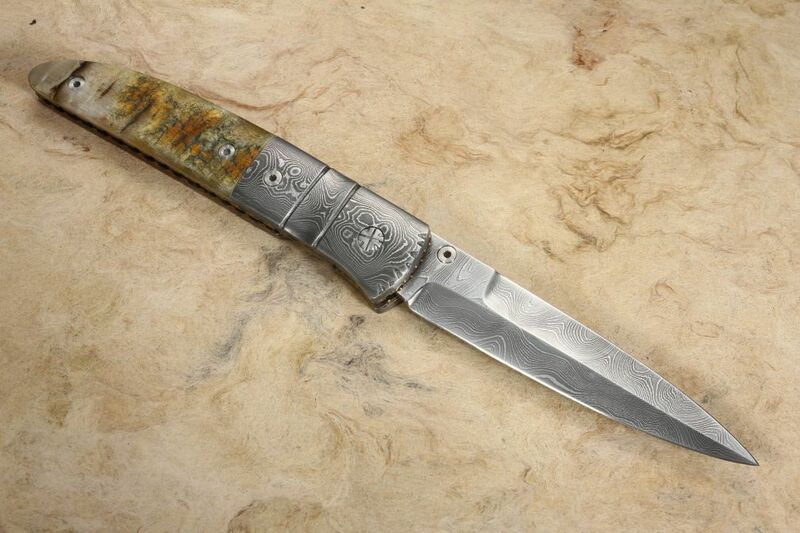 Hand file worked titanium liners and damascus spacer really add a touch of class to this tanto folder. Solid liner lock design. 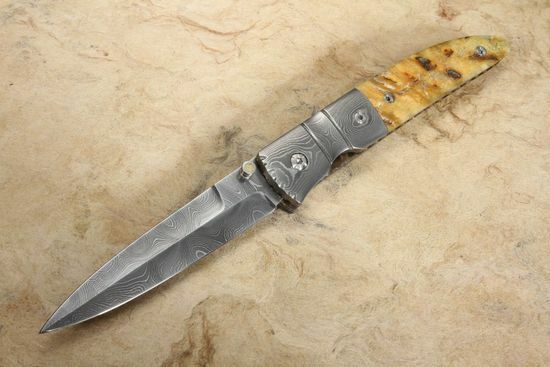 KnifeArt.com is proud to represent and be close friends with Mel Pardue. Made in Alabama.